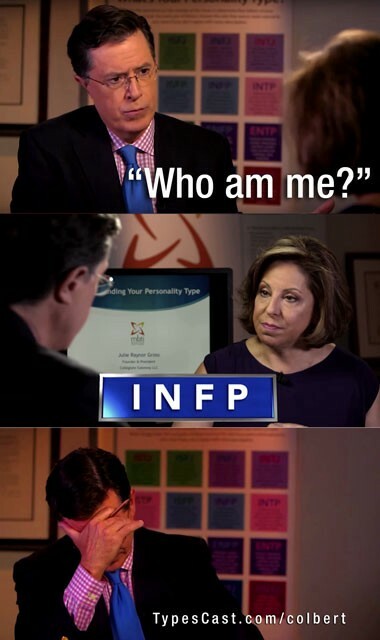 Did you ever take a personality test, like the MBTI or another, that gives a four letter code that looked something like this: INFP, ESTJ, ENTP ? After you took one of those tests, did you receive a brief description of your type that was accurate in some ways, but was either too general — or didn’t really describe you at all? Maybe you took your test results home and forgot about them. Or, if the results captured your interest, perhaps you tried to learn more about them but were confused about what percent of each letter you were — 51% Thinking — 49% Feeling, for example, or how it all worked — and gave up, because it wasn’t really that helpful? Unfortunately, millions of people have taken the first leg of the journey of personality type (through a test) and never arrived at the true destination: a better understanding of themselves and others by applying what they learn to every aspect of life! Recently, the problem of inaccurate typing has become much more widespread with the advent of social networking apps, which have spawned negative press about the tests’ shortcomings. And frankly, when I see a student or friend’s result on Facebook, I usually cringe, because most of the time, their result is wrong. One of the clearest examples of mis-typing, in my experience as a Personality Type consultant, is of a former student. Megan is a very warm, sincere, imaginative, creative and empathetic young woman. When she took the MBTI, (the Myers Briggs Type Indicator), she announced afterwards to me, “I’m an ISFP!” Her enthusiasm about something that could help her to understand herself better and find a good career path for her type was so endearing, and also so indicative of her type, that I didn’t have the heart, at first, to share my doubts with her about her ISFP result. I’d like to mention a little about the background of personality typology to explain why I thought Megan’s result was incorrect. Psychological ‘typing’ began with Swiss psychoanalyst Carl Jung and was taken to new levels by the work of Isabel Myers, an American researcher who developed the Myers Briggs Type Indicator (MBTI) personality ‘test’ and the familiar 16 four letter types. Jung and Myers’ work was revamped and greatly improved by Dr. David Keirsey, who applied his decades long study of the theories of four temperaments, dating back to ancient times, by ordering Myers’ 16 types under four basic, fundamental types. Keirsey’s four Temperaments are the SP, SJ, NF and the NT. Learning about the similarities in the underlying motivations and the things which build self esteem in people of each of the four temperaments is an invaluable help in ending the confusing ’toggling’ back and forth between individual letters, which renders the four letter result useless for many who get caught in that trap. Back to Megan… Her MBTI result, I-S-F-P, was actually correct on three of the four letters. The first letter ‘I’, wasn’t in question. She was clearly a reserved ‘I’, for Introversion (a term that’s frequently misinterpreted). Megan also clearly exhibited the traits of Myers’ F (‘Feeling’) and P (‘Perception’) letters, which also carry the baggage of confusing definitions. But Keirsey’s work, by showing a hierarchy of importance among the four letters and how their meanings are very dependent on context within his four fundamental types, or “temperaments”, provided Megan the tool she needed to help her understand what makes her tick. Using Keirsey’s four “Temperaments” as a failsafe backdrop for her four letter test result, put Megan’s letters (ISFP) into Keirsey’s broad SP “Artisan” temperament. However, I saw few SP Temperament traits in Megan. Instead, having worked with her over several months as her private teacher, it was clear that she exhibited the general traits of Keirsey’s NF ‘temperament’. So, if her other three letters were correct, which they seemed to be, she had only mis-typed her 2nd letter. The 2nd letter-set, the S and N, are by far the most important in the four-letter type combo. S and N (short for Sensing vs. Intuition are also poor choices of terms that we’re rather stuck with) have to do with how we process the world around us, whether by primarily using our five senses (S: Sensation) or our intuition/introspection/notions (N: iNtuition). Megan’s imaginative, broad, metaphoric language and dreamy, idealistic nature are very common traits found in the NF temperament group, especially iNFp. However, they are not usual traits of the SP ‘temperament’ into which her ISFP result had placed her. So, rather than tell her what I suspected her type was, I gave her Keirsey’s book “Please Understand Me II” to read, which she devoured. Her very attitude about reading it was another clue to her temperament. NFs are the people most drawn to topics related to self-understanding and deep meaning. After reading, Megan came back and proudly announced to me that she was definitely *not* an SP, but an NF: an iNFp, as I had type-spotted her to be. She verified that three letters, the ‘I’, ‘F’ and ‘P’, had been right. But having tested incorrectly on the 2nd and MOST IMPORTANT letter put her in the wrong broad temperament group, which was an extremely poor outcome, if had she relied solely on the test for the right result and never chose to learn more about type. According to Keirsey, in their underlying motives, the SP and NF temperaments couldn’t be more different, which I have found to be very true in my experience. That reality alone both proves and underscores the critical importance of cross checking one’s four letter result against the basic traits of Keirsey’s Four Temperaments to obtain an accurate result. Megan went on to choose a career which combined her love of music and the arts with her other NF passion for helping those in need. She is now a practicing music therapist, a decision that’s proven to be a fulfilling choice for her type and no doubt a great blessing to the children with severe handicaps whom she so beautifully and lovingly helps. Typical of NFs, known as the self-actualizing temperament, Megan wanted to know her correct type in order to find fulfillment in her life’s work. But NFs are certainly not the only ones who benefit by obtaining the right result. Proper verification of type is absolutely essential for enabling people of all types to apply this amazing tool to every area of life. So, it’s my belief that personality tests in general are best used as only a jumping-off point for most people. And verifying one’s four letter code against the traits of the four temperament quadrants is the foundation for finding the correct result. Ultimately what is at stake in continued negative publicity about the MBTI and type generally is the loss of a hundred years of marvelous progress in human understanding through psychological type. If this knowledge is to benefit the current generation, who are being told that it’s nothing more than an amusing, but inaccurate and irrelevant game, it needs to be shown to be the life changing tool that it truly is, which will depend entirely on whether we succeed in helping people to get their type right. Please feel free to contact me via my website at http://typescast.com/contact Your input and ideas are appreciated!